Our readers often report that when they sit down to plan the future, either individually or with a partner or spouse, they find their anxiety level climb. The future can be intimidating and appear uncertain even with calm, careful planning. But nevertheless planning is a key ingredient that leads to self-actualizing a future that is fulfilling and sustaining. There is a secret to making planning less anxiety producing. 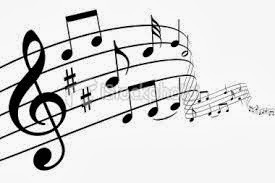 It is called MUSIC. That's right, listening to music while planning can reduce stress, improve focus, and make it a more enjoyable experience. A recent article by reporter, Elizabeth Landau, CNN, highlights a study showed that patients who were to undergo surgery and listened to music reported being calmer than patients who were prescribed anti-anxiety drugs. If other studies continue to confirm these findings, it will have a profound effect on how we medicate in the future. A doctor's prescription for anxiety may eventually read: Beethoven 2X a day, or Jimmy Buffett, as needed. It may also mean a huge savings in prescription drug costs. Whether it's chanting, Willy Nelson, Josh Groban, or Yo Yo Ma, you choose what's best for you. Many of the people we have spoken with about music and anxiety report that Mozart is the best antidote. Now listening is made even easier with Pandora. You can set up your own favorites list and every time you sit down to plan, you can become calmer. Now that's a symphony we can all REWIRE to! Write Your Own Memoir and REWIRE! Martha now combines her natural interest in memoir writing with her expertise at showing first-time authors how to write books. On her website, www.writeyourmemoir.com, Martha shows non-writers how to write their memoirs. “Everyone has a story to tell. But few people know how to write their memoirs.” Writeyourmemoir.com explains and illustrates memoir-writing techniques and gives examples of family memoirs Martha writes. Martha has just published a new e-book, the only guide on the market on how to use storytelling techniques of fiction in memoir writing. 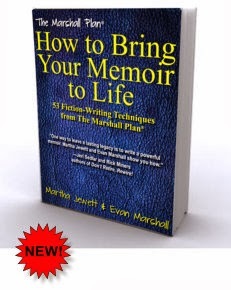 How To Bring Your Memoir To Life: 53 Fiction-Writing Techniques from the Marshall Plan®, co-authored with Evan Marshall, includes examples from bestselling memoirs. “These are the same techniques professional writers use to write memoirs that are alive, clear, riveting, dramatic, full of feeling, fast-paced, and immersive,” says Martha. Looking to pen a compelling memoir? Now you know where to start.